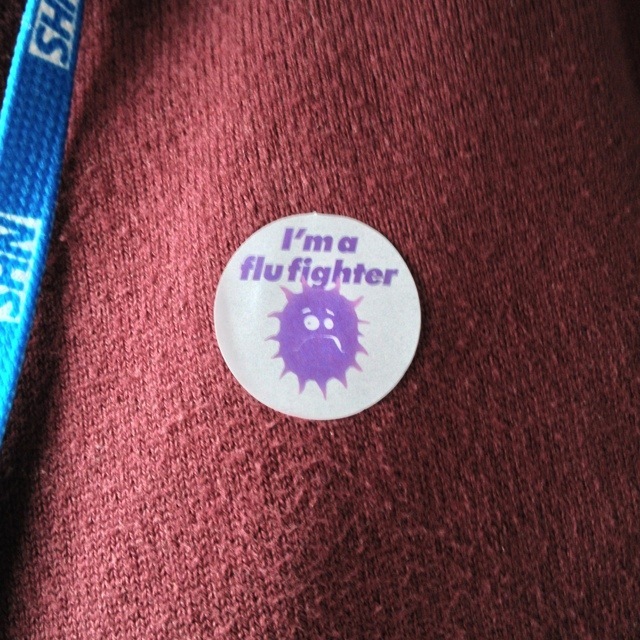 I’m now officially a flu-fighting super-doc, and hope that all of my clinical colleagues are similarly brilliant! The evidence is clear: in randomised trials, care facilities with high uptake of flu vaccine amongst staff have been consistently shown to have significantly lower levels of flu-like illness and mortality. In the 2010/11 flu season, the UK saw 2,200 ITU admissions with flu, mostly in under-65s. So do your bit, and get your jab! This 1,859th post was filed under: Health, Photo-a-day 2012, Medicine, Public Health.